Everybody wants to have a shiny, silky, long and voluminous hair like celebrities. But do they really treat their hair the way we do? Achieving hair strands which gives you a charming look you want but it can be a trying task like a number of salon treatments, the care you provide to protect it from damage and the amount of time you are going to spend to grow it. All these pieces of stuff can hit your patience in the end. Providing an external care to your hair is an important part of your hair care regimen. Visiting hairdresser, choosing right hair products all the stuff are vital but often people forget to provide enough nutrition to the body which is necessary for healthy hair growth. 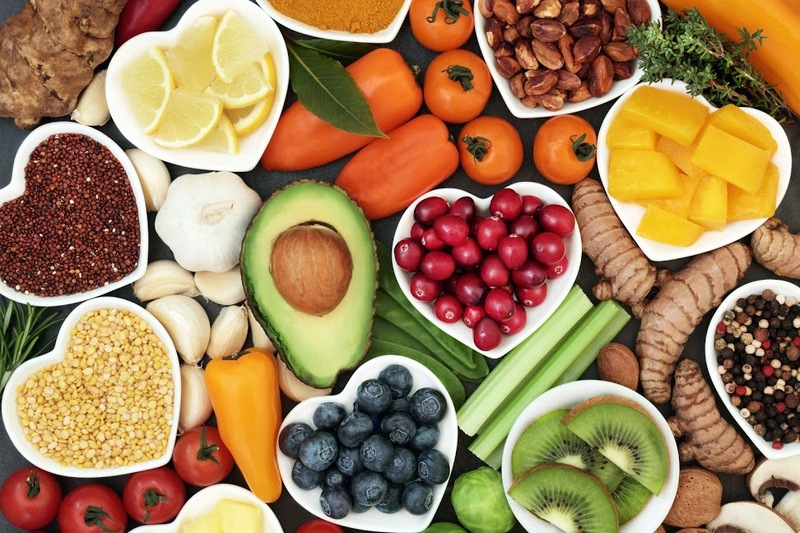 All parts of the human body require certain nutrition: vitamins, minerals and proteins so the body can be healthy and execute its daily activities and regenerate itself after getting hurt or injured. A balanced diet is required to supply all the necessary nutrients that can ensure a healthy hair growth. Yes…! Your long and gorgeous hairs are not far away if you decide to live on a right diet. So, which nutrients are important for healthy hair growth? Her is the list…! When it comes to proper cell growth Vitamin A plays an essential part, it has a direct connection with hair growth. Using vitamin A our scalp produces ‘Sebum’ natural hair oils which give a healthy hair growth. Also, Vitamin A contains antioxidants that help to moisturize the scalp to prevent hair from drying out. If you want to have thick and dense hairs then you should start taking Vitamin A rich foods. 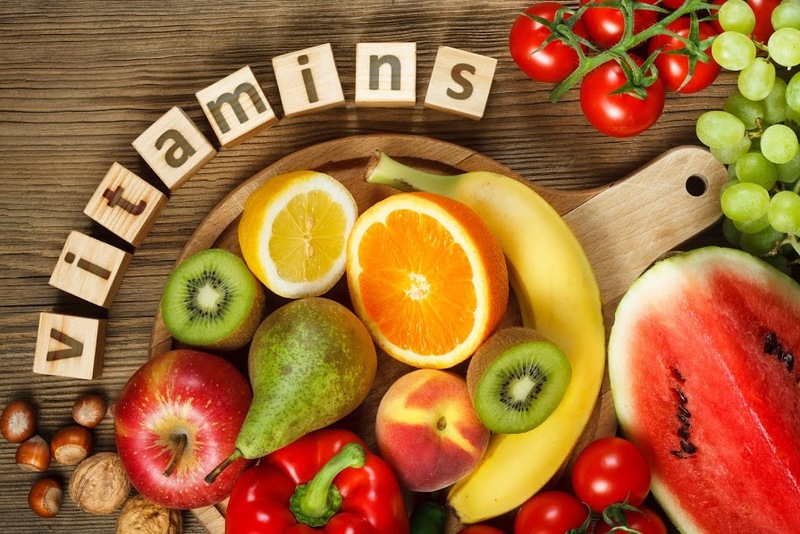 Sources For Vitamin A– Cantaloupe, Pink grapefruit, Apricots, Carrots, Pumpkin, Sweet potatoes, Winter squash, Dark green leafy vegetables, Broccoli. It is one of the 12 Vitamins of Vitamin B family and it is called a hair growth vitamin. Biotin provides help in synthesization of protein: Keratin by reaching the cell enzymes to produce amino acids and fats which facilitate and promote healthy hair growth. In Addition, biotin carries oxygen to cells in your scalp and follicles to keep them healthy. Sources For Biotin– Liver and other meats, Egg yolk, Yeast, Nuts and seeds, Salmon, Dairy, Avocados, Sweet potato. The deficiency of Vitamin C can lead to dry hair and split ends and these conditions are unfavorable for hair and can result in hair loss. So, intake of this vitamin can be highly beneficial for you for preventing premature greying of hair, dryness of hair. It helps in the production of Collagen, it is a protein which is important for hair growth and thickness. Sources For Vitamin C -Kakadu Plums, Acerola Cherries, Rose Hips, Chili Peppers, Guavas, Sweet Yellow Peppers, Blackcurrants, Thyme. Vitamin E is an antioxidant that repairs and builds tissue, which makes it important for hair growth. Supplements of Vitamin E can improve the hair growth in people having hair loss. Vitamin’s antioxidant properties help in reducing oxidants stress in the scalp. Oxidative stress can lead to hair loss. Also, Vitamin E can improve blood flow to the scalp which is said to improve hair health. Sources of Vitamin E– Sunflower Seeds, Spinach, Vegetable Oils, Peanuts, Avocado, Almonds, Shrimp, Hazelnuts. Folic acid helps your hair is getting thicker and shinier growth cause it adds moisture to scalp and hair follicles. It also helps in preventing greying of hair. Intake of B-Complex vitamins can already fulfill the need of folic acids. Sources of Folic Acid– Lentils, dried beans, peas, and nuts, avocado, dark green vegetables such as broccoli, spinach, collard or turnip greens, okra, Brussels sprouts, and asparagus, citrus fruit and juice. Niacin helps blood cells to maintain their structure and improve blood circulation. It brings more blood circulation to scalp (In result more oxygen and nutrients reach to hair follicles) and promotes natural looking hair growth. Sources of Niacin– Chicken breast, Peanuts, Mushrooms, Liver, Tuna, Green Peas, Grass-fed Beef. Iron is an essential nutrient for our body and deficiency of iron can lead to dull, thin and dry hair. The job of iron is to provide that strength to cells to supply oxygen to hair follicles so healthy hair growth can be promoted. ources of Iron-Beans and lentils, Tofu, Baked potatoes, Cashews, Dark green leafy vegetables such as spinach, Fortified breakfast cereals, Whole-grain and enriched bread. Zinc deficiency can actually lead to deterioration of the protein structure that creates cells of hair follicles. Weakening of hair follicles can make hair strands lose out and shed. Zync also plays an important role in the production of DNA and RNA. This is required for the normal division of hair follicle cells, leading to healthier hair growth. 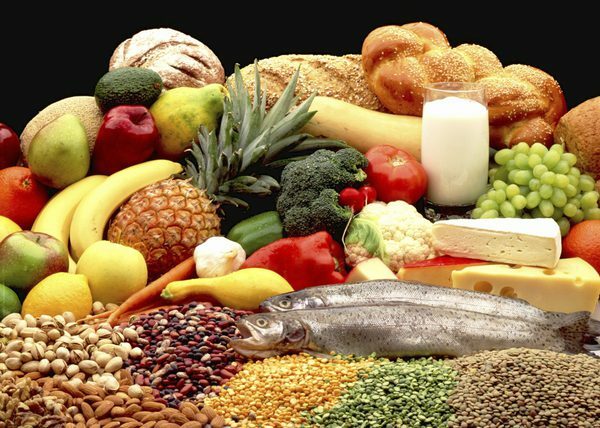 Sources of Zinc– Cereals, Wheat germ, Pumpkin Seed Sesame seeds, Meats, Shellfish, Squash Seeds. In research, it is found that deficiency of magnesium can lead to hair loss. Our hair follicles are entirely made up of protein and magnesium synthanizes this protein and promotes healthy hair growth & predictable growth cycle with normal growing and resting phase. 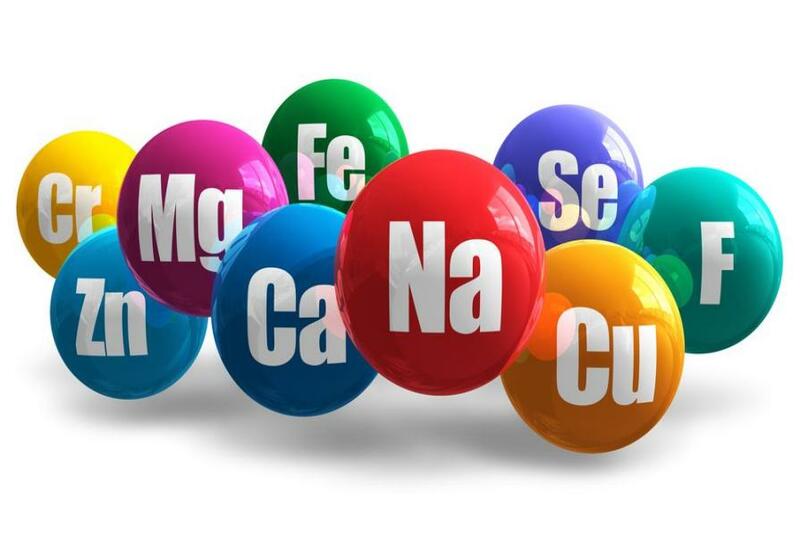 Sources of Magnesium– Green leafy vegetables, Fruit (figs, avocado, banana and raspberries), Nuts and seeds, Legumes, Vegetables (peas, broccoli, cabbage, green beans, artichokes, asparagus, brussels sprouts), Seafood (salmon, mackerel, tuna). Your every hair consists of 80-90 percent of protein: Keratin and you would probably know that 20% of your body is made of protein. The work of protein in human body is to promote growth and regeneration. So it important to include high protein rich foods in your daily diet bucket. If you don’t consume enough protein then the body will rationalize the amount of protein available in your body. Like it will choose functions like producing hormones, enzymes, and antibodies as primary. Since hair growth and tissue, repairs is not regarded as the essentials function of your body, In result, protein supply is diverted to more important tasks and is cut off to hair follicles. Therefore, if your protein deficiency persists for an extended period of time, you end up with dry and brittle hair or hair fall. Sources Of Protein- Seafood, White-Meat Poultry, Milk, Cheese, and Yogurt, Eggs, Beans, Pork Tenderloin, Soy. decision of providing a nutritional diet to your body. But apart from diet what if you face situations like Alopecia Hair Diseases which can cause heavy hair fall in men and women permanently and treatable only by few procedures. One of those procedures is PRP hair loss treatment which is a permanent and long-lasting cure of hair loss disease. There are no side effects but only natural looking results.